Simon James (Jesse Eisenberg) is as plain as his namesake. For 7 years, he's been working as a low level data entry clerk at a firm. He is so unnoticeable, even people at work still don't recognize him and demand to see his ID every single time he enters the building. Simon is in love with Hannah (Mia Wasikowska), equally shy, lonely co-worker, but he is too introverted to even speak with her. Instead, he spies on her through a telescope at night, since they live in nondescript, highrise buildings across from each other and collects her discarded scribbles and drawings from her garbage. One day, a new employee, James Simon (Eisenberg again) arrives at the firm. He is a dead ringer for Simon: he even wears the same clothes. But he is polar opposite in every way- a suave, funny, extrovert everyone takes immediate liking to. Soon the double smooth talk Simon to cover for his ineptitude at work. No one will notice if we switch places from time to time, he says. Slowly, James takes over Simon's life, even Hannah. Based on Dostoevsky's vision of bureaucratic nightmare combined with underdog love story , The Double, British funnyman Ayoade's film is an often hilarious dark comedy. 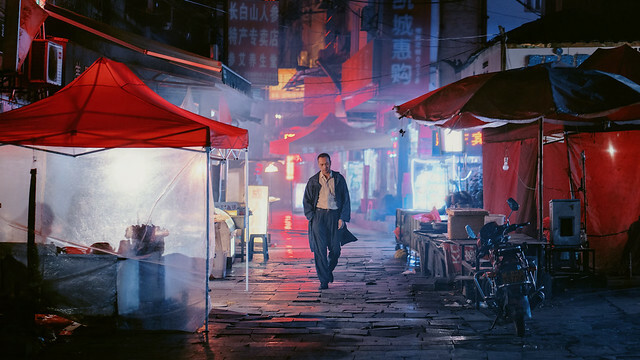 The look of the film is a total retro 80s dystopian movies: big, ominous machines, air ducts, a creepy, creaky elevator, grey, muted colors and populated by pruny, white haired old people. Ayoade, a sort of renaissance man of the British comedy excels here with his absurd humor and classic, lo-fi effects - sound and production design instead of CGI. Eisenberg is perfect for lonely, nebbish frontman who goes mad and Wasikowska is adorable in her doily dress. Many of Ayoade cohorts from Submarine make appearances here too. 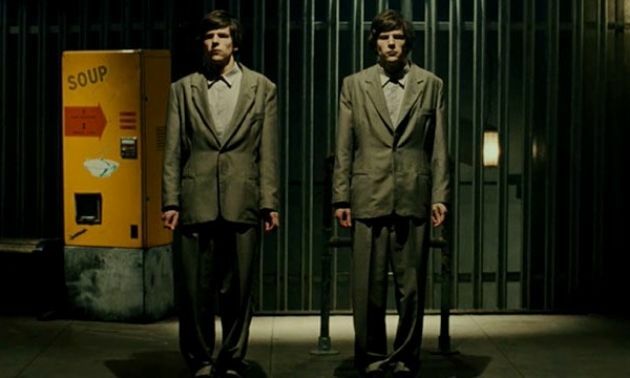 Falling somewhere between Brazil and Hudsucker Proxy, Ayoade's The Double is a fresh air to turgid mainstream comedies.